Legislation introduced by Virginia Sen. Mark Warner to address the National Park Service maintenance backlog was considered at a Senate Committee hearing today. The bipartisan bill would address the $12 billion in deferred and overdue maintenance at the National Park Service. In the last year, the maintenance backlog at Park Service sites in Virginia grew by $250 million, to over a billion dollars. That figure includes roughly $80 million of overdue maintenance at Shenandoah National Park, one of the crown jewels of our nation’s park system. 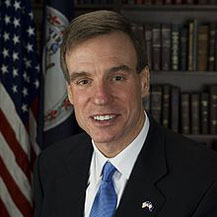 Warner expressed the need to find a solution to the backlog and urged his colleagues to advance the legislation. The consensus proposal is the product of bipartisan discussions among the Senators who had previously introduced bills to address the Park Service’s deferred maintenance backlog. The bill has been praised by U.S. Secretary of the Interior Ryan Zinke, the National Parks Conservation Association, the Pew Charitable Trusts’ restore America’s parks campaign, and the Outdoor Industry Association. For a list of NPS operated sites in Virginia, including each of their deferred maintenance figures, click here. A list of Virginia organizations supportive of addressing the NPS backlog can be found here. More information on this bill can be found here.